The Instinct VS has some great performance features. It is built on an almost identical last to the Boostic and edges really well. 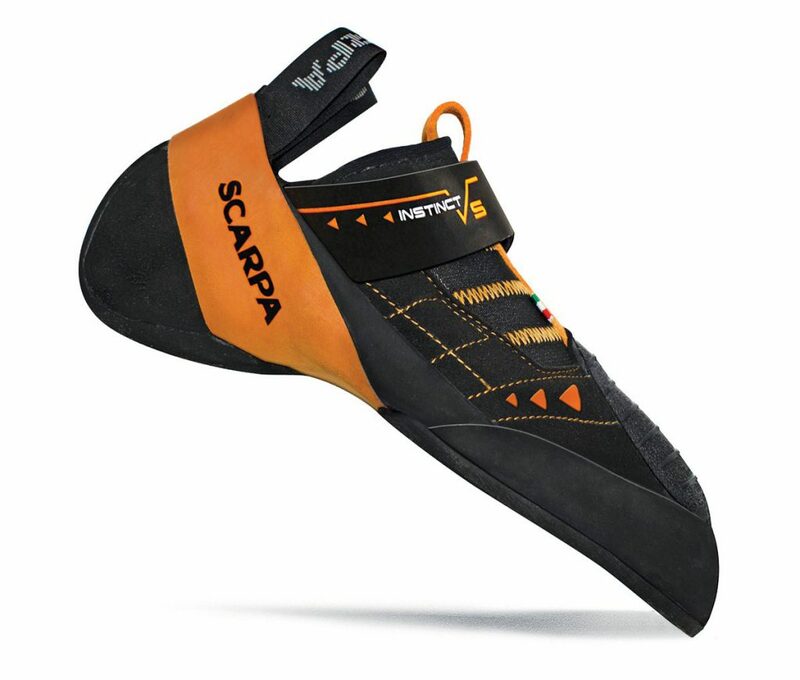 A large swath of rubber covers the top of the toes, allowing you to do some teched-out toe hooks a la Dave Graham, and the heel cup has the vacuum fit that I love. 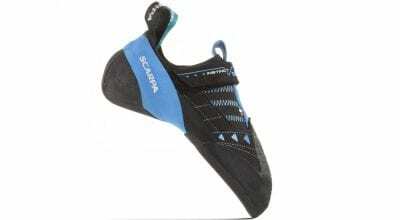 The last few years I’ve raved over each new shoe produced by genius cobbler Heinz Mariacher (see What I’ve Learned), and my adulations over the Scarpa line came to a climax last year with the Boostic, one of the best high-end sport-climbing shoes ever made (in my opinion, of course). So I was eager to slip on the new Instinct VS, assuming that once again, my mind would be blown. The Instinct VS has some great performance features. It is built on an almost identical last to the Boostic and edges really well. A large swath of rubber covers the top of the toes, allowing you to do some tech’ed-out toe hooks a la Dave Graham, and the heel cup has the vacuum fit that I love. But I was underwhelmed by the Instinct VS. In contrast to the Boostic, I found the Instinct rather uncomfortable, particularly during the first month of testing. The break-in period for this slipper felt as painfully long as a film festival full of “soul”-motion, time-lapsed adventure videos. I think my issues were due to the shoe’s synthetic leather upper, which doesn’t stretch. This lack of give, combined with the large swath of toe rubber, which paradoxically, I like, makes the Instinct feel more boot than slipper-like. I persevered through the break-in period, however, and am now psyched on the Instinct VS. Still, I’m not sure if I’d buy this one over the Boostic, which is only $10 more, but more comfortable and with nearly identical performance. 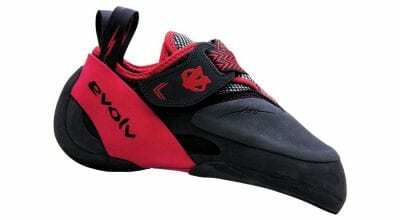 >Bi-Tension active-randing system provides maximum toe power. >Rubber toe patch provides toe-scumming and hooking power. >3mm of Vibram XS Edge rubber. >Sizes: 36 – 45 (half sizes).